As I wrote to you on Wednesday, the Institute has agreed to an election to allow you to choose whether you would like to remain independent or if you would like to be unionized by the Service Employees International Union (SEIU). Since then I have struggled with this second letter for two reasons: (1) I was stunned that this effort would arise in the midst of widespread positive feeling about the direction of the Institute; and (2) because I was unsure whether to express my own opinion regarding the election. After tossing several drafts, I’m over #1. And, once several of you specifically asked that I share what I think is best for the Institute, I realized that as President I have a duty to give you my best professional analysis of the matter. Why I encourage you to vote No to joining SEIU. You know, better than I, the expanding negative impact on real art, and real education, of numerous outside forces: the bureaucratic and legalistic approach of accreditation and government agencies; the proliferation of educationists (as distinguished from educators) in command of art schools; the dramatic shift of art colleges (and their marketing) away from a focus on art as a way of thinking and seeing toward mere vocational training. Now, an aggressive effort is being mounted by non-SFAI, paid union recruiters that could push us further off the track of the history and mission we all embrace. I am especially concerned that SEIU would disrupt our close-knit artistic community and will have little to no positive effect for you, the faculty. There is no guarantee that SEIU would negotiate any better arrangement than could be achieved by working directly and collegially with the SFAI administration. And without the burden of Union rules, requirements, dues, initiation fees, etc. As the proud son of a Teamster shop steward, I’m acutely aware of the benefits organized labor brought to sheet metal workers like my dad and their families in facing up to Big Business. But SFAI is a community working together toward a common purpose, and I believe that SEIU is a huge outside force* that has little understanding of our unique culture and values. Dean Schreiber, the other vice presidents, and I plan to convey to you over the coming days whatever we are legally allowed to share about recent progress, and particularly about efforts on your behalf. The irony is that labor law restricts rather significantly what we may share during the period leading up to a union election. Please take time to consider all of these points as you make your decision. We are inviting faculty to a series of informational meetings. We are creating a website, which will launch on Monday afternoon, to provide you with pertinent information about SEIU and SFAI. My door is open, as ever. Please do not hesitate to reach out should you have any questions, or thoughts to share. *The budget of the SEIU “local” is double that of SFAI, while the main office – with a huge staff overseen by some thirty Vice Presidents, Executive Vice Presidents, and a President – has an annual expense budget of about a third of a billion dollars. We started this blog to support the Visiting Faculty population at the San Francisco Art Institute while we consider whether or not to unionize for collective bargaining rights. 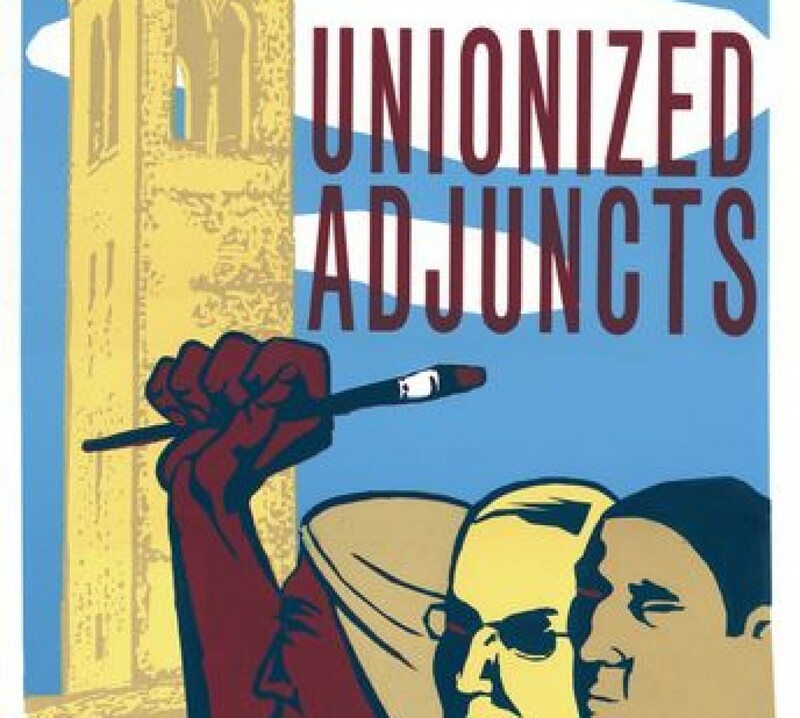 It can also serve as a narrative or methodological model for adjuncts at other schools who are considering unionizing. At SFAI, “Visiting Faculty” is a euphemism for “adjunct professor”. Visiting Faculty are hired on a short-term, per-semester basis and their employment is considered “at will” (i.e., they can be fired at any time). No opportunities for health insurance or other benefits exist for these employees, and they are roughly 75 to 87 percent of the faculty population at SFAI. Their base pay is $5500 per course, so a Visiting Faculty member working the maximum of four courses per year can expect a yearly salary of $22,000. Visiting Faculty must carry advanced degrees in their field, and are expected to maintain a professional art or writing practice as well. They do not choose their course times and have no voice in official channels such as the SFAI Faculty Senate, despite making up over three-quarters of the teaching population. To put things in perspective, the average studio apartment in San Francisco now rents for $2370 per month or more, according to the SF Gate. The average price for artists’ studio space in the San Francisco Bay area is about $650 per month. We suspect that collective bargaining may be the only route to addressing this broad cultural problem on a national scale. This blog is therefore pro-union, but maintains a healthy skepticism for bureaucracy in the tradition of SFAI’s artistic community. No union organizers are permitted to contribute to this blog; it is faculty and community only. We are committed not only to helping Visiting Faculty achieve their salary and benefits goals while also maintaining agency in the collective bargaining process. To read some of the specific grievances that SFAI Visiting Faculty have about their working conditions, click here. To read confrontational, anti-union emails that the SFAI administration has been sending to SFAI faculty’s personal inboxes, click here and here.